Mumbai: A number of Tata stocks opened on a strong note today - a day after Cyrus Mistry was named as successor to Ratan Tata as the group head - but could not sustain the gains in a weak market. However, a few like Tata Power, Tata Coffee and Trent were holding onto gains in early morning trade. The most valued Tata company, IT giant TCS saw its share price rising sharply in the opening trade to ₹ 1069.75, but soon slipped into the red with a loss of about one per cent to ₹ 1050.60. Similarly, companies like Rallis, Indian Hotels, Tata Chemicals, Tata Elxi, Tata Global Beverages and Tata Investment Corp also opened higher, but could not sustain their opening gains and were trading with modest losses in the early morning trade. Some other stocks like Tata Steel, Tata Tele, Voltas, Tata Communications and Tata Sponge opened on a flat note and were seen trading with marginal losses in early morning. A few like Tata Motors opened on a weak note, but some value buying was seen at lower levels. The stock was down 1.3% at ₹ 166.35 at 10:00am at the BSE. Tata Steel was down 3.5% at ₹ 369, Tata Power was flat at ₹ 91.30 after erasing its early gains, Tata Communications was down 2.3% at ₹ 176.60 and Tata Coffee was trading 0.4% higher at ₹ 777.40. 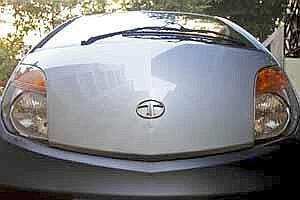 There are about 30 listed firms in the Tata group, which comprises of close to 100 operating companies. Together, these listed companies commanded a market value of about ₹ 3,50,000 crore ($77.44 billion) as on 17 November, 2011, as per the information available on the Tata group website. After the market closed on Wednesday Tata group announced that Cyrus Mistry would become chairman of the group’s holding company Tata Sons in December 2012, after Ratan Tata retires from the position. Mistry, managing director of the construction and infrastructure major Shapoorji Pallonji group that holds over 18 per cent stake in Tata Sons as its single largest shareholder, would disassociate himself from his family businesses.